A seasoned cyclist will rarely buy a specific winter training bike. Instead, we are more likely to just ‘inherit’ a former racing bike. A bike that was once our pride and joy – regularly cleaned, oiled and polished – fit, even, to be kept in our dining room – gets relegated to an all round winter work-horse. And yet as a winter training bike, we can spend more time using it, than we did when it was our first choice racing bike. I bought a new road bike this year. 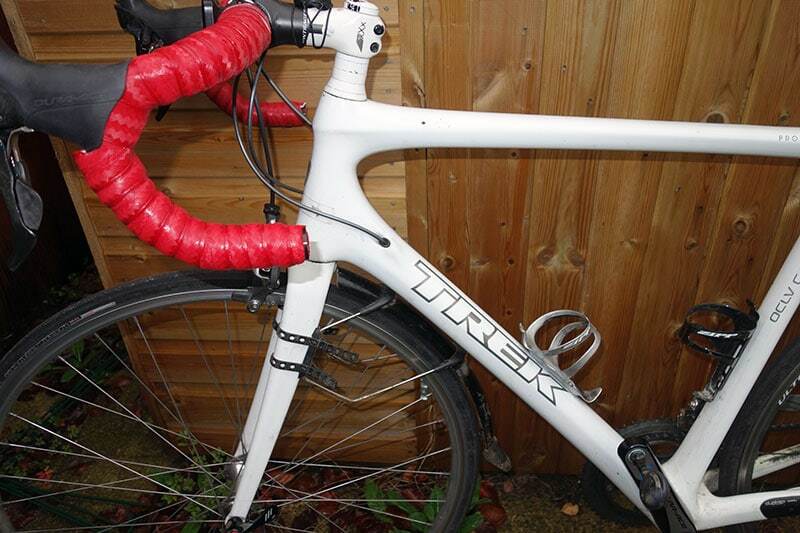 A state of the art Trek Emonda. I even made the foolhardy claim, this will be the last bike I will ever buy. Never believe a cyclist when he says he’s bought his last bike, especially not a hill climber who has form when it comes to the murky world of expensive marginal gains. But, the new Emonda relegated a very decent Trek Madone to 2nd in the pecking order. I was very tempted to sell on ebay. I’ve had a good experience selling stuff on ebay this summer – getting a good price for an old time trial bike. In fact, this summer was a very rare occurrence of selling as many bikes as purchasing. Breaking a long history of bicycle accumulation – proving I wasn’t completely in thrall to the old formula for bike numbers of N+1. However, the problem with selling the Madone was manifold. 20 year old bike. One day after the national hill climb, I got my old, old winter training bike (of 20 years standing – a Ribble Aluminium frame, with Shimano Sora groupset) The contrast between a nimble 5kg Emonda and my lumbering 9kg Ribble, was an uncomfortable shock to the system. It just wasn’t as much fun riding a bike, nearly twice the weight. The gears take a seeming eternity to change, and the front dérailleur needed a frequent little kick mid-ride to move it into place. I know the modern generation are spoilt. In the good old days, if you wanted to change gear, you’d have to unscrew some bolts and flip your fixed wheel over to the other side. One gear for going up mountains, one gear for coming down. Simple. But, the problem is once you’ve got used to a certain luxury, it’s hard to go back to eating millet and boiled cabbage. Attachment to a bike. 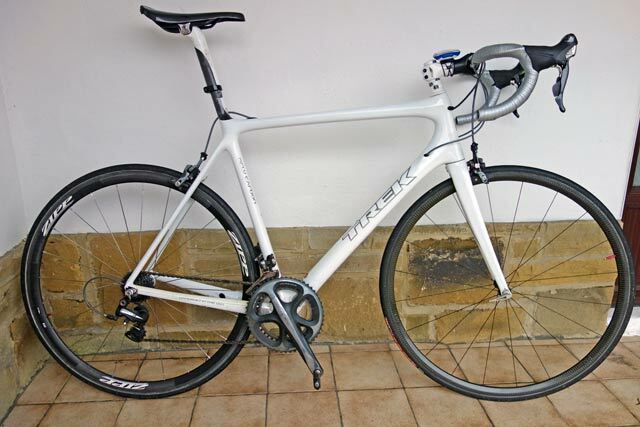 I got the Trek Madone for the 2010 hill climb season, and in five years (2010-14), it won 54 hill climbs out of 60 entered. It is the kind of record that can make, even a self-confessed Zen declutterer, gain attachment to a bit of carbon fibre. Dents and scratches. The bike has been well used, and picked up a few chips in paint work. This cosmetic damage reduces the price for reselling, but not its effectiveness. If I did manage to sell the bike, what would I do with the money? I would probably want to buy a new winter training bike. So that was settled, I would keep bike and upgrade it to a winter training bike. It’s kind of like an early Christmas Present and New Years present to myself all rolled into one. The funny thing about winter training bikes is that you can spend more actual time on these ‘winter hacks’, than we do on our pride of joy racing bikes. So, if I can get another 20 years of winter service out of it, it will be one of the best investments I ever made. Psychological advantage. One school of thought says – ride a heavy, slow winter training bike over winter. Come spring, get on your racing bike and you feel like you’ve gained 2mph. The other school of thought is – have a really good winter training bike, and it’s an added motivation to do some training when it’s cold and wet. One thing I can say is that I will not be getting the new ‘Rapha thermal winter aero skinsuit’. There is nothing to be proved in winter! 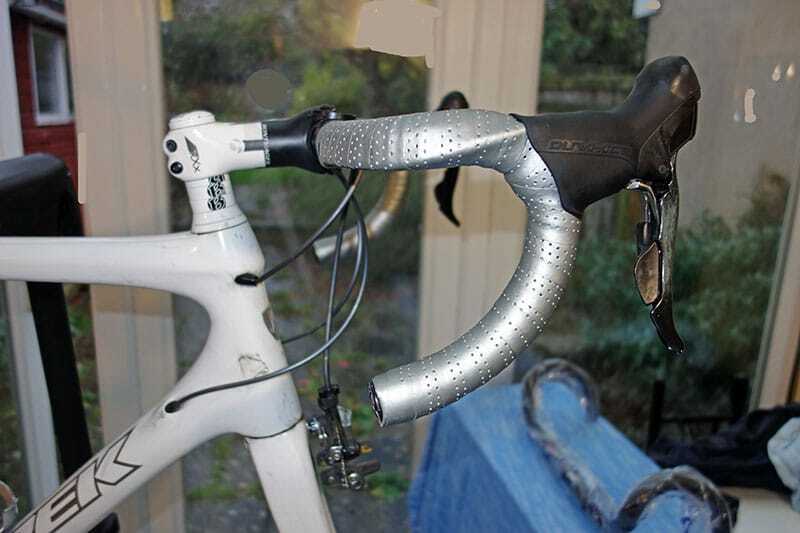 A legacy of using in hill climbs, I had some micro-light very thing bar tape. The carbon fibre bars were also short and shallow. The consequence is that it is not very comfortable. When riding, I end up shifting around the bars looking for somewhere comfortable to rest hands. I bought some Lizard skin bar tape – very thick and comfortable bar tape. Bright red is a bit more cheery than silver. Expensive for bar tape, but I plan to rest on it a lot. I also bought some new handlebars. Deda aluminium anatomic shape. It was nice to have no need to spend a lot of money on carbon fibre to save 50 grams. I also went for comfort with bigger handlebars offering more positions to ride on. I switched over my clip on mudguards. 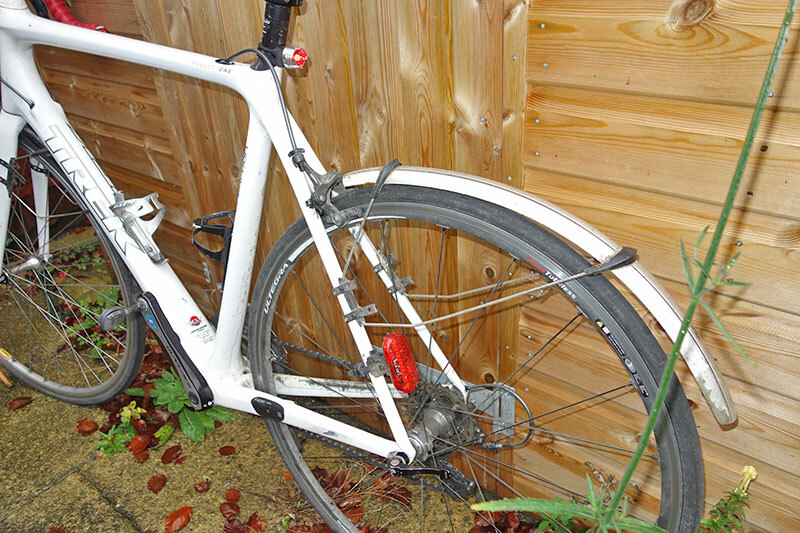 Ideally, I would get full cover mudguards but these clip ons are really easy to add. I’m not keen on that saddle for long distance. 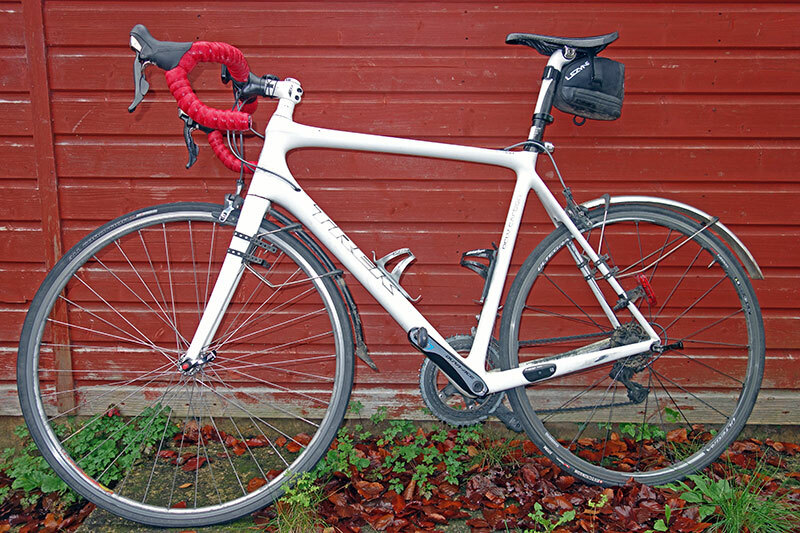 The Tune saddle weighs 85grams, but it’s not my first choice for a winter training bike. The rear tyre is only 23″ Hutchinson Atom tubeless – I’d like to change this too as you’re better off with 25″ for winter. 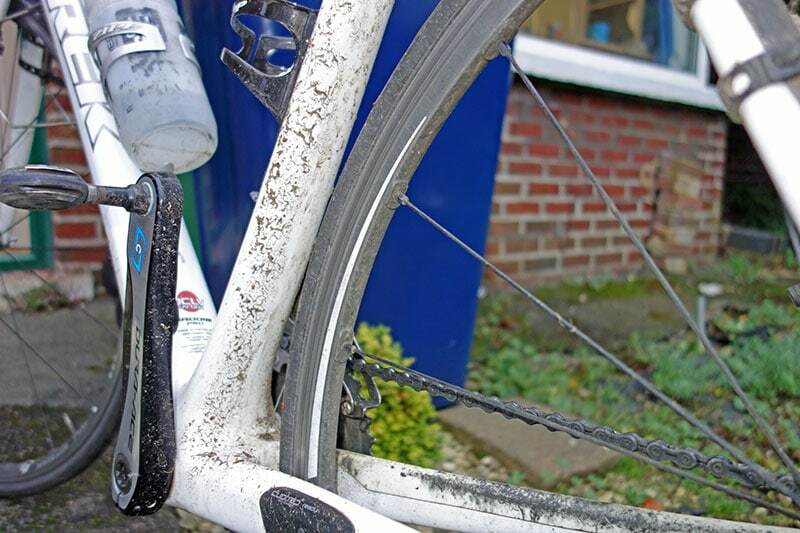 The downside to having a white winter training bike, is that it soon looks dirty. How often to clean winter training bike, may need updating. Nice to know I think a bit like a top cyclist. Yesterday I gave my summer bike (Burls Ti) a good clean and today it’s going for a service, after which it will hang for the winter. Why service it and then leave it? I’m not sure really, except it just seems the right thing to do after the summer to have it given a good going over. At least if there’s a nice break in the weather over the winter I will be able to bring it out knowing it’s ready to go. This morning I pulled down the Condor Acciaio, my erstwhile first choice bike, put on the race blades and two rear lights all ready for darker mornings. It’s noticeably heavier and lower spec than the Burls, but getting it down felt like saying hello to an old friend, and I’m in the “ride heavy in winter, feel lighter in summer” camp. 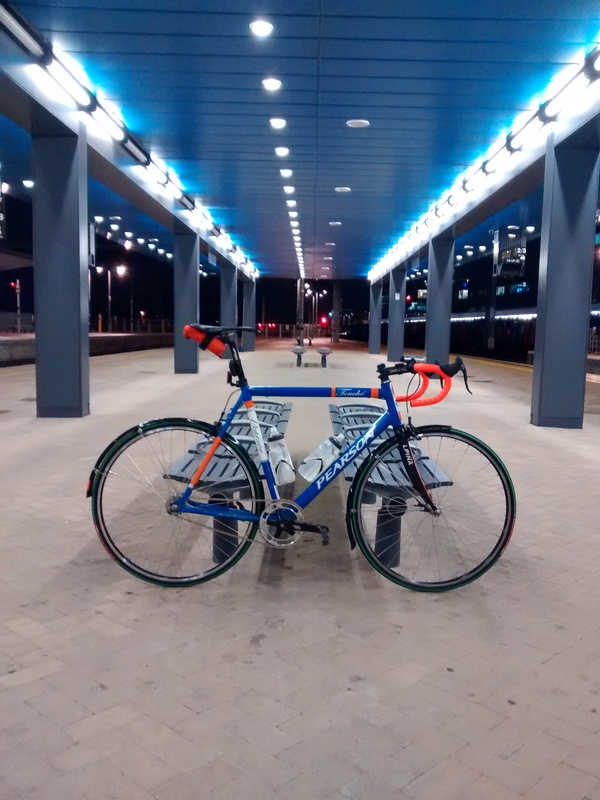 The Condor may be heavy but it’s still a good bike and pleasure to ride.